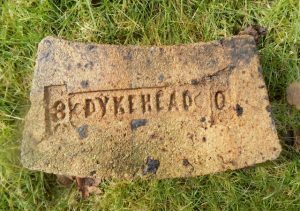 Source Falkirk Museum and Archives – George Turnbull and Company, Dykehead Brickworks, Bonnybridge. Established 1839. Founder Miss Margaret Donald. The works never became profitable and she eventually sold them to marry and emigrated to Australia. The site was later taken over by George Turnbull & Co. The works stood on a Millstone Grit bed of clay and had their own mine just to the south of the works. When owned by George Turnbull, together with the Bonnymuir Tile Works they produced blast furnace linings, gas works blocks, grate back bricks, fire bricks, furnace blocks, cupola’s, ladles, boiler seat blocks, flue covers and ground ganister – Castings Magazine 1923 advert. 1906 – A mine at Dykehead was established and later the Dykehead Fireclay works were established and the Woodlea Brickworks were abandoned. 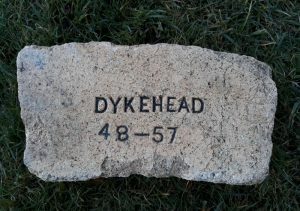 1912 – Robert Dougall dies shortly after Dykehead Brickworks had been started. 1913 – Margaret and Janet Dougall die and a niece, Margaret Turnbull Dougall takes over and the Dykehead Ganister and Fireclay Company Ltd is established to take over the assets of George Turnbull & Co. Margaret Turnbull Dougall is the sole partner. 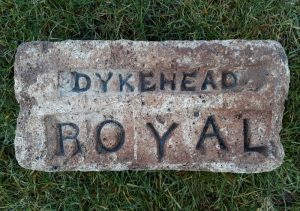 Below – 1915 – Dykehead Brick Works, Bonnybridge. 1919 – Dykehead Ganister and Fireclay Company Ltd is purchased by Gerald Hooper of Joseph Kimber and Co, London. Thomas Walker is appointed Works Manager of Dykehead and Bonnymuir Works. 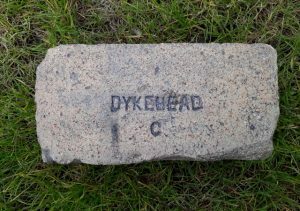 1920 – Dykehead Ganister and Firebrick Co., Ltd. (Formerly George Turnbull & Co.).Bonnybridge Dykehead Mine. 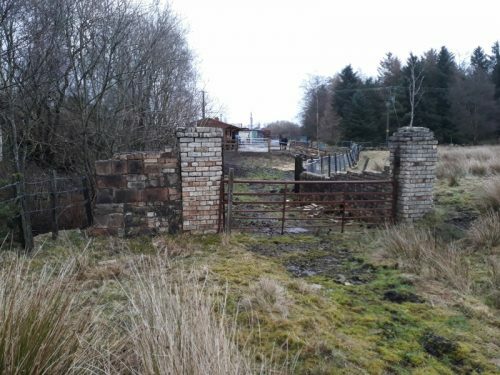 Mine : Situated at Bonnybridge, at the side of the North British Railway, Glasgow to Edinburgh line; it is 1/2 mile east of Greenhill Junction on the Caledonian Railway. Maps: One-inch New Ser. Ordnance and Geological 31; six- inch Stirling 30 N.W. Latitude 55° 59′ 21″. Longitude 3° 52′ 45″. Geological age : Millstone grit. The Dykehead Fireclay Mine is at present (1916) being extended and deepened. Hitherto only fireclay has been worked, but to meet the great demand for silica bricks it is now intended to use theassociated ganister seams. A railway siding is being made to the mine at Dykehead; brick-works are in course of erection, with crushing and mixing mills, drying sheds, and kilns of the continuous Newcastle type. (These are now (1917) in operation At the new works an output of 500,000 bricks a month is expected. The full section of strata which it is intended to work is not yet completely opened up (Dec, 1916), but will average some 24 ft. in thickness, and will be worked in three benches. A section recently examined in the newly-driven road showed : — Sandstone roof Ft.In. 1. Fireclay … … 0 8 2. Coal and blaes 0 4 3. Fireclay 1 6 4. Ganister 3 6 5. Coal 1 2 6. Brown rib 0 3 Coal 0 4 7. Fireclay and Ganiister. 1. 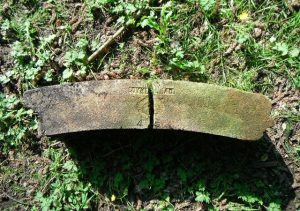 This is a very variable seam and elsewhere in the field reaches a thickness of 3 to 6 ft. 2. A 3 to 7 inch dirty coal, apparently very constantly present and a useful local index-mark. 3. Also very variable, locally as much as 4 to 5 ft. Both 1 and 3 contain irregular patches and lenticles of ‘ganister.’ Sometimes indeed the ganister predominates and the clay occurs as partings. 4. The top foot or so of this seam is somewhat faky in character, the rest where seen in the new road was an excellent ganister, pale-buff in colour, fine-grained, even- textured, rooty and somewhat micaceous. 5. Tyritous coal, averaging about 1 ft. 2 ins. 6. Is a brownish irony rib. 7. Includes fireclay and ganister proved in borings, but not yet fully exposed in the mine. The combined thickness varies from 12 to 15 ft. and is composed of Fireclay Ganster 2 to 3 ft. (approx.) Fireclay This ganister may occur either near the top or near the centre of the fireclay; it is similar In character to the upper seam. Description of rock. 19581. Top part of bed. Fine-}.’raiiied, pale-grey, highly micaceous sandstone. Average grain about 0″05 mm. iiainly quarts and mica. Cementing material argillaceous, but has locally developed carbonate of iron in small crystals and patches. No secondary sillcification. 19582. Lower pjirt of bod. Pale-grey fine-grained, soft micaceous sandstone, with carbonaceous sti-eaks. Grain angular, about 0*05 to 0*1 mm. Mostly quartz and mica. Interstitial matter argillaceous. No secondary silicification. Reserves : Large. Products : The ganister will be sold in the ground raw condition (both wet and dry) ; silica-bricks and blocks will be made. 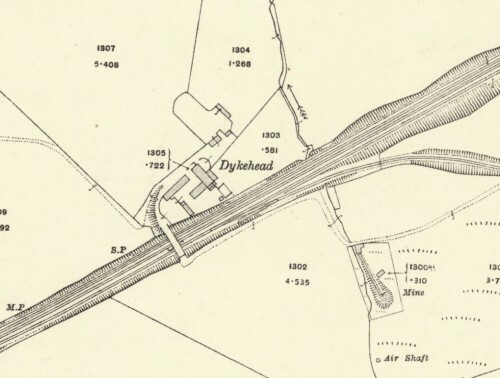 1922 – 1923 – Directors describe trade as very poor and the maximim production at Dykehead Works was 50,000 bricks per month due to restrictions in the railway sidings. agreed a new lease after a new 16 chamberred kiln was erected. 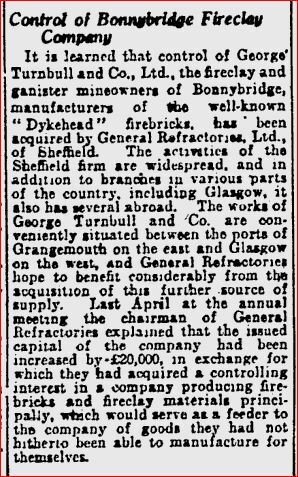 The Dykehead Ganister and Fireclay Company was liquidated and all assets were transferred to a new George Turnbull & Co Ltd .
Below – 27/02/1934 – Glasgow Herald – Dykehead Firebrick works sold to General Refractories Ltd.
GR-Stein Refractories Ltd – Formed by merger in 1970 of John G Stein & Co and General Refractories of Sheffield. GR-Stein became a subsidiary of Hepworth Ceramic Holdings Ltd General Refractories was formed in 1929. 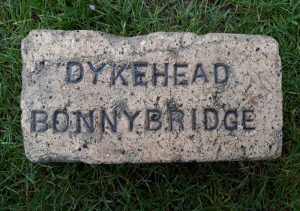 It acquired the Glenboig Union Fireclay Co in 1936, (along with other companies), which became its Scottish holding company, and Dykehead Gannister & Fireclay Co of Bonnybridge , George Turnbull & Co of Bonnybridge and Castlecary Brick & Fireclay Co, all in 1936. 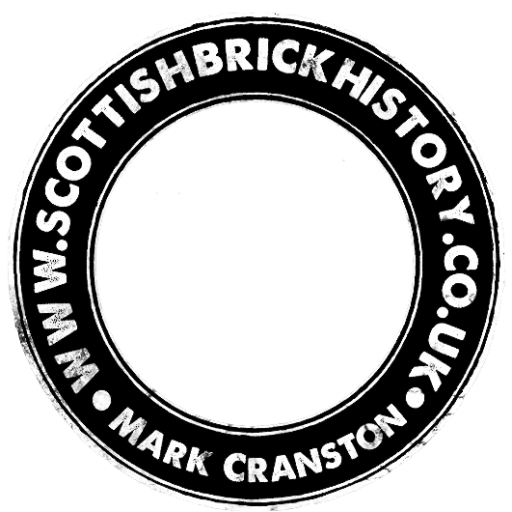 (see Glasgow Herald below which infers this date is 1934) GR Stein’s Manuel Brickworks in Whitecross opened in 1928 and closed on 28 December 2001 when manufacture moved to England and Poland. Source Falkirk Museum and Archives. Kenneth W Sanderson states that General Refractories took an interest in the Dykehead Ganister and Fireclay Company in 1931 and took the whole company over in 1936. Another entry states that in 1938 a share deal was carried out and George Turnbull & Co Ltd became part of the Glenboig Union Fireclay Company which was the Scottish subsidiary of General Refractories. 1960 – Dykehead Mine closed. 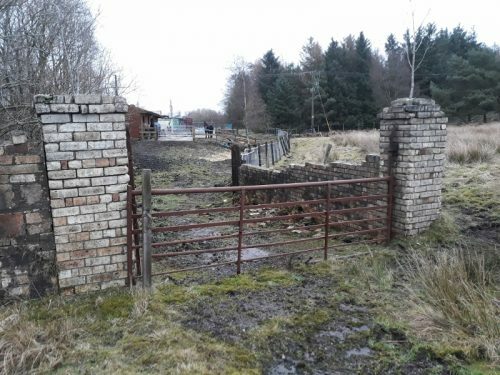 Previous Article Woodlea Brick and Tile Works, Bonnybridge. 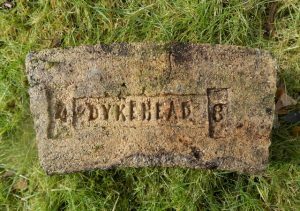 Found by Ian Suddaby at Inverboyndie, Aberdeenshire. Dykehead Firebrick Works, Bonnybridge, Stirlingshire. . . . .
Found in the Falkirk area and kindly donated by Nick Basden. Dykehead Firebrick Works, Bonnybridge, Stirlingshire. . . . .
Found by Eddie McLean in the Glasgow area. Dykehead Firebrick Works, Bonnybridge, Stirlingshire. . . . .
Found by Harry Wilson in the Bonnybridge area. Dykehead Firebrick Works, Bonnybridge, Stirlingshire. . . . .
Found by Ian Suddaby near Turriff in Aberdeenshire. This is not in my possession. Dykehead Firebrick Works, Bonnybridge, Stirlingshire. . . .